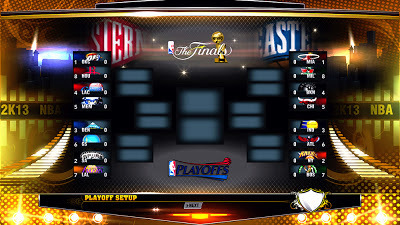 Description: These are save files for NBA 2K13 that will allow you to play the 16 NBA teams from the first round of the 2013 playoffs (Conference Quarterfinals). - Includes 16 save files so you can use your favorite team. 1. Copy the .PMG file of your preferred team into NBA 2K13 Saves folder.